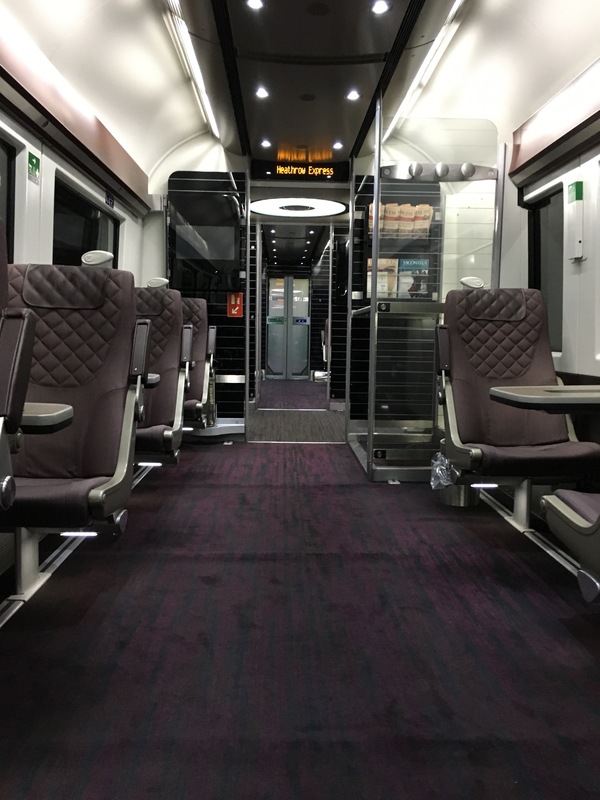 Is Heathrow Express Business First worth the money? I’ve said it before and I’ll say it again: I love the Heathrow Express. I even once spent £225 in one go booking up transfers for my summer of travel. An offer came through for me to get a free business class upgrade on my next journey, but I didn’t pay much attention to it as it was only valid for full price tickets. However, I needed a trip to Heathrow and I couldn’t book an advance fare so decided to give it a go. My ticket cost £22 one way, which is the full standard class fare. With the unique code, this allowed me to buy the Business First fare for the same price, which is normally £30. The seating in Business First is much less dense, with a 1-1 configuration of some singles and some facing. 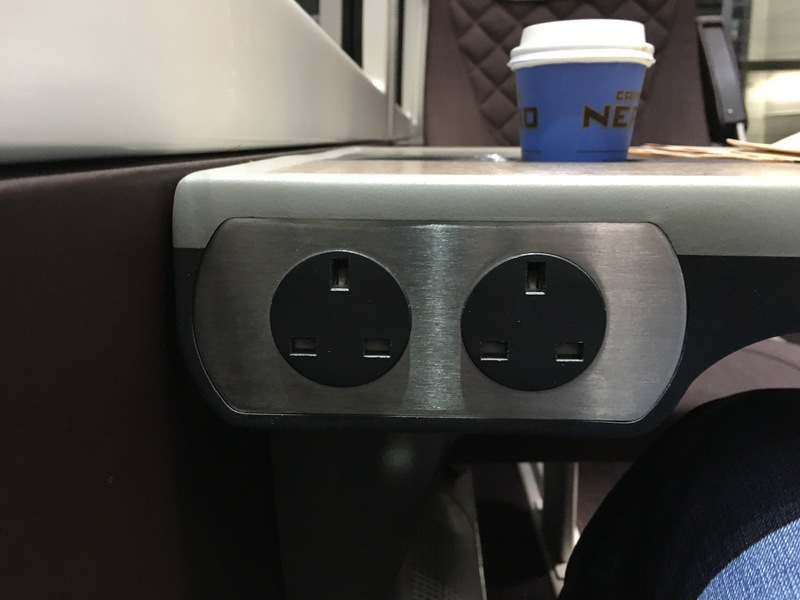 There is power at each seat in the form of 2 plugs – double the outlets in standard. I would like to have seen USB ports as well for ease of use. 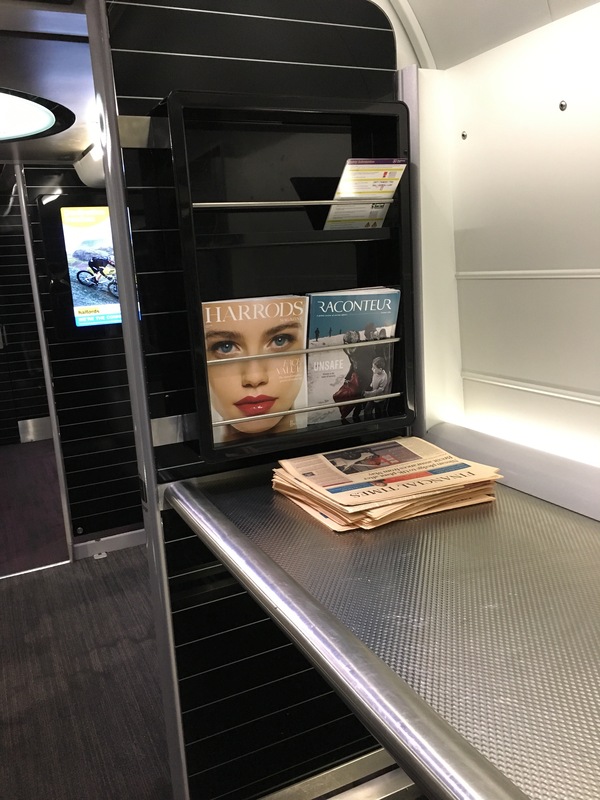 Free reading materials are provided in the form of the Financial Times. I was the only person in the carriage and noticed that they didn’t play the Heathrow Express videos or updates making it a very quiet and peaceful journey. The fact that I was the only person there is an indication of the general feeling towards it. People are unlikely to pay the premium and the basic service is good enough that any additional cost is not worthwhile. I was happy to try it for free, but wouldn’t pay the standard price; in taking the offer, I was actually missing out on the chance to get a small discount via the MasterCard Priceless offer. Still, it was a peaceful start to the trip!